Below you can view all the homes for sale in the Wyngate subdivision located in Woodstock Georgia. Listings in Wyngate are updated daily from data we receive from the Atlanta multiple listing service. To learn more about any of these homes or to receive custom notifications when a new property is listed for sale in Wyngate, give us a call at 404-998-4112. This Home Is Low Maintenance*New Exterior Paint, New Gutters, Trex Deck, New Water Heater, Newer A/C. The List Goes On... MLS#6540878. Keller Williams Realty Partners. Top School District & Minutes To Popular Downtown Woodstock Too! MLS#6538561. Berkshire Hathaway Homeservices Georgia Properties. 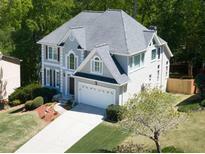 Award Winning Schools And Top Location Just Minutes To Lake Allatoona MLS#6538498. Berkshire Hathaway Homeservices Georgia Properties. It Is Located In An Excellent School District And In A Quite Neighborhood. Easy Access To 75. MLS#6534346. Manning Properties. There Is A Huge Room Upstairs Used For Media Room Or 5Th Bedroom! Tons Of Storage! MLS#6504700. Keller Williams Realty Partners. Large Level Yard With Private Back. MLS#6521251. Homesouth Residential Incorporated. Large Fenced Back Yard, Fantastic Neighborhood & Schools. MLS#6517742. Atlanta Communities. Great Home For Entertaining Lovely Patio Overlooks Private, Fenced Backyard. MLS#6501517. Keller Williams Realty Partners. Close To Dining, Shopping, Schools And Only Minutes To Lake Allatoona And Downtown Woodstock! MLS#6059821. Era Atlantic Realty.